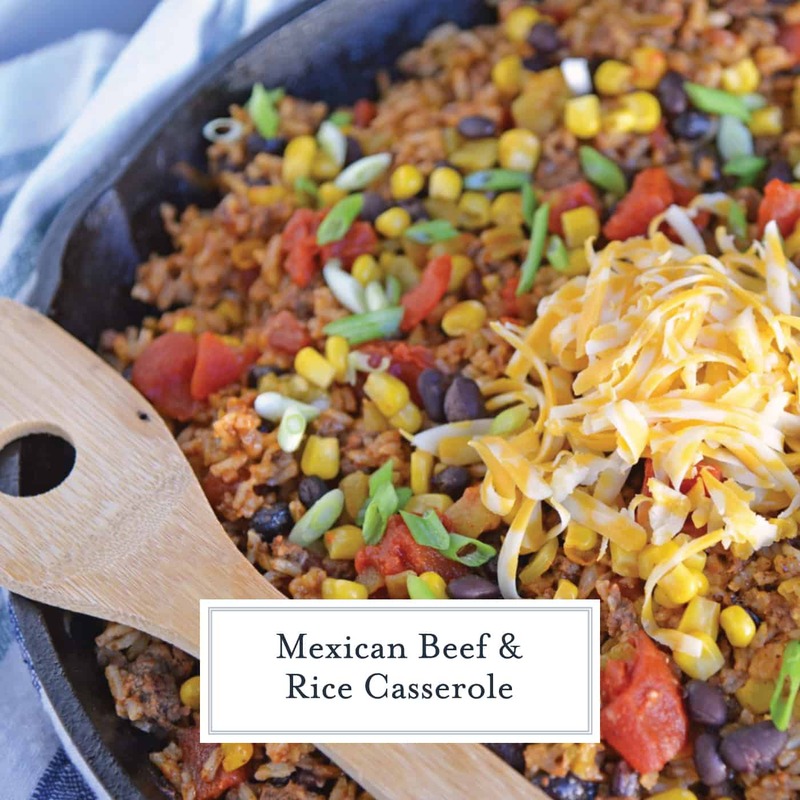 Mexican Beef and Rice Casserole has quickly become one of our family favorites and I can guarantee it will be yours too. 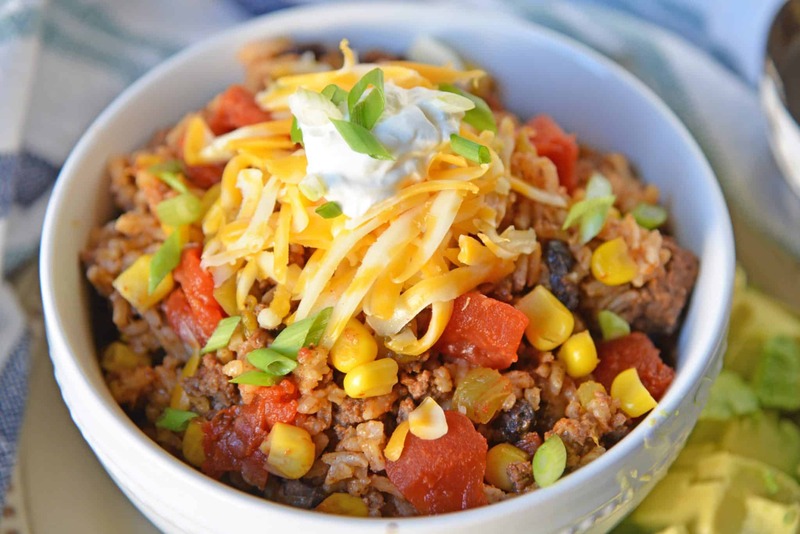 An easy dinner recipe using ground beef, beans, rice and spices for a one dish meal that is out of this world! 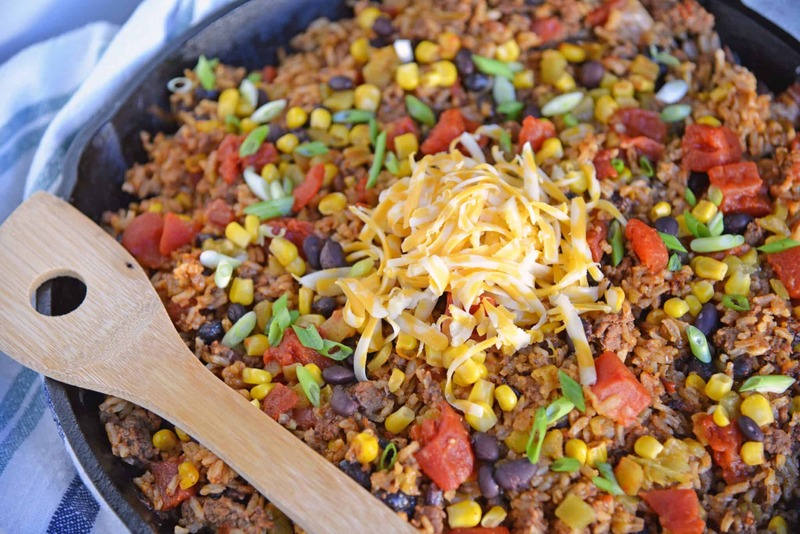 Mexican Beef and Rice Casserole is an easy weeknight recipe using ground beef, taco seasoning and other easy ingredients for a one dish meal! We all know I am cookbook hoarder. I love to challenge my culinary ability and try new things. I play a game called recipe roulette. I take one of my beautiful cookbooks and turn to a random page. Whatever is on that page is what is for dinner. It takes us out of our comfort zone, encourages me to try new techniques and ingredients and it’s fun! If the recipe is terrible, we order a pizza. But every once and while we hit on a “keeper.” One of those recipes that ends up being a part of our monthly rotation of tried an true meals. Mexican Beef and Rice Casserole ended up being one of those keepers. 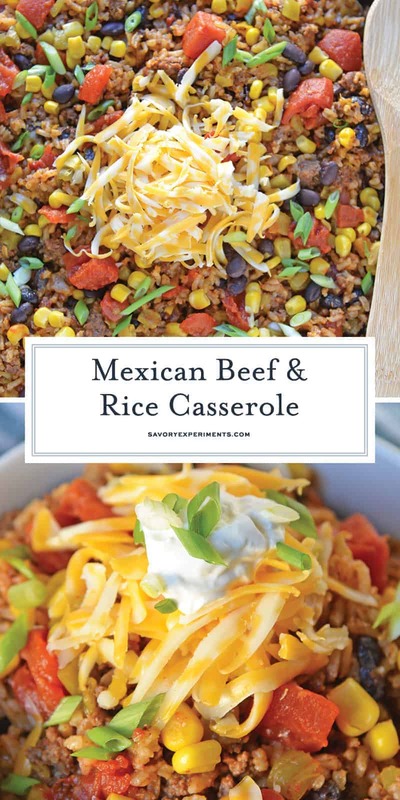 It really was no surprise, Mexican Beef and Rice Casserole came from a The Simple Kitchen, a cookbook penned by fellow bloggers Chad and Donna Elick of The Slow Roasted Italian, known for their simple and flavorful dishes with bold, mouthwatering photography. Also true to my kitchen, I never met a recipe I didn’t alter just a little bit to make it my own. 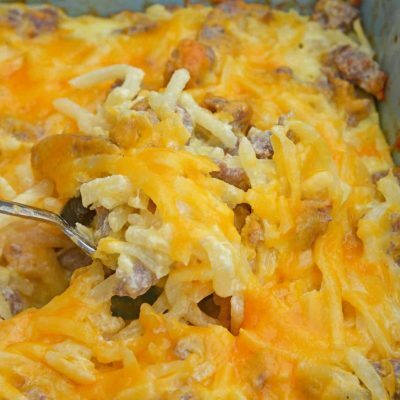 Mexican Beef and Rice Casserole is actually published using chicken, but I followed one of Donna’s simple kitchen tips, tips provided with each recipe for modifications or prep ideas, and used ground beef. 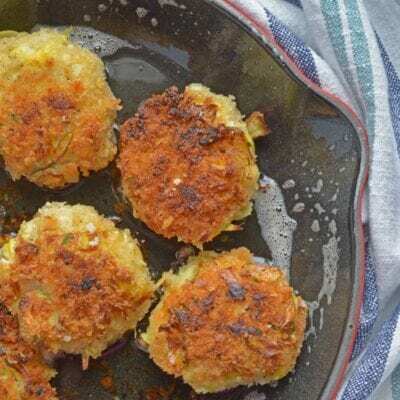 My readers always seem to be looking for new ways to use ground beef beyond meatballs, tacos and meatloaf. It is a hearty protein and easy on the wallet. I also put my own spin on the recipe by increasing the tomatoes, corn and green chiles, while adding diced onion and hot sauce. The original also calls for cilantro and although I have nothing against cilantro, I forgot to buy it at the store. 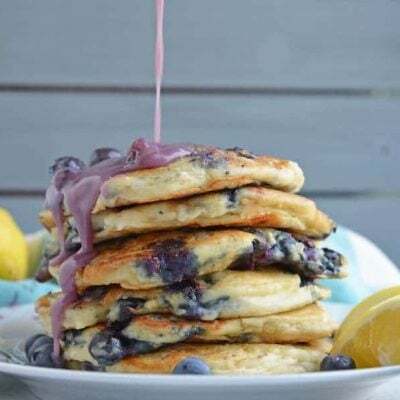 One of the beauties of this recipe is that it is super easy to omit and add as your taste buds dictate! I garnished with avocado, sour cream and scallions for a colorful one dish meal. Hubby and I ate Mexican Beef and Rice Casserole for the next 3 meals and ended up making another double batch the next week to take for lunches! 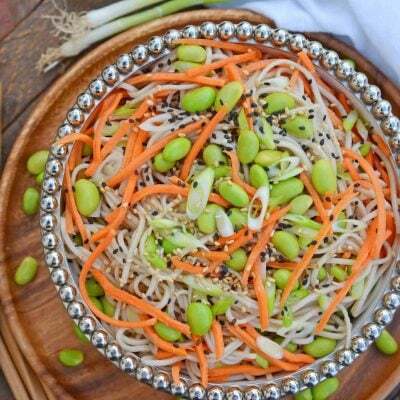 You know a recipe is delicious when you want to eat it this frequently! 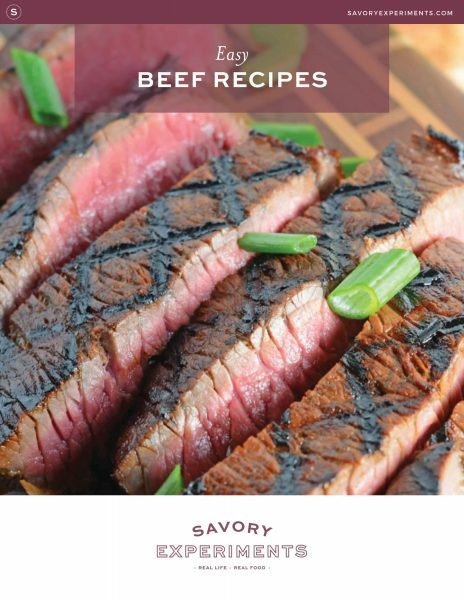 If you are looking for even more great beef recipes, snag a copy of my Easy Beef Recipes Mini-Cookbook. 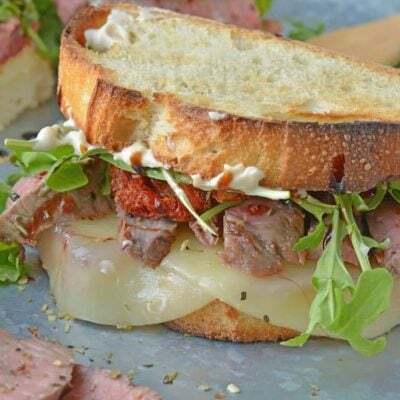 Available here for only $0.99, here is a small collection of delicious and easy beef recipes that will soon become your new family favorites, from Instant Pot recipes to quick one-dish casseroles! 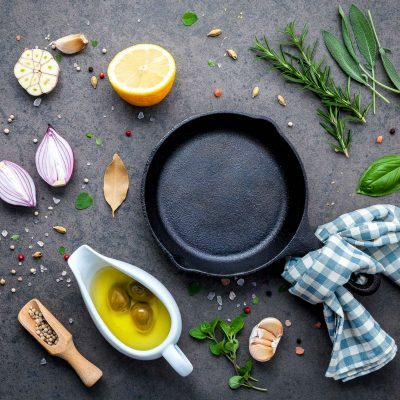 Before you get started, make sure you know how to properly season your cast iron and how to clean your cast iron! 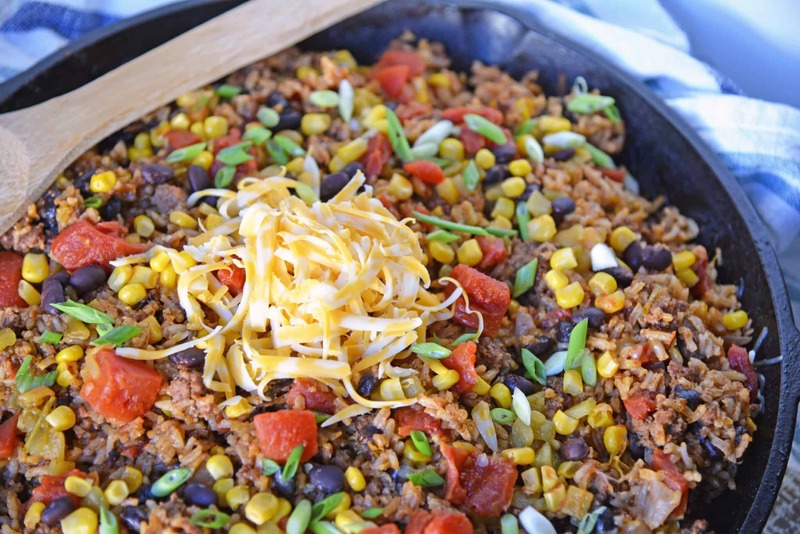 Mexican Beef and Rice Casserole is an easy weeknight recipe using ground beef, taco seasoning and other easy ingredients for a one dish meal your whole family will love! 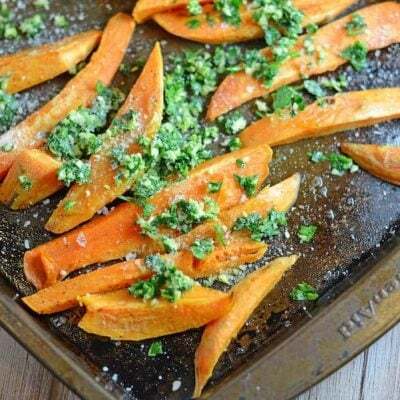 In an extra large skillet or cast iron pan, heat vegetable oil over medium heat. Add ground beef, breaking up pieces as it cooks. Cook until there is no pink. If you use anything above 90/10 mix, drain grease after meat has cooked. Add taco seasoning, kosher salt and diced white onion, continue to cook for an additional 2 minutes. Add chicken stock, jasmine rice, drained and rinsed black beans, diced tomatoes with juice, green chiles and hot sauce, toss to combine. Cover and allow to cook for 15-20 minutes. Stir half way through to prevent rice from sticking to the bottom of the pan. When nearly done, add frozen corn, cook for an additional 2 minutes. Toss with colby jack cheese. 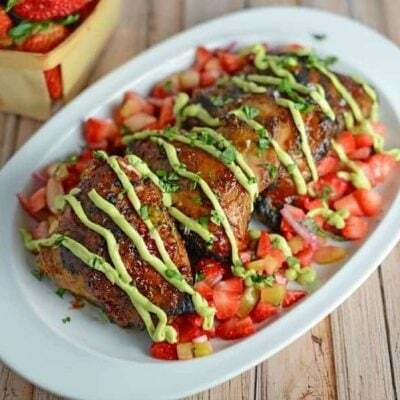 Serve with optional garnishes including sour cream, scallions, avocado and cilantro. I always keep instant rice in the pantry. The amount of liquid can vary greatly from one batch to the next and if the called for amount of rice isn't soaking up all the liquid, I can add 1-2 tablespoons of instant rice to compensate without ruining the recipe. Make sure to grab your copy of The Simple Kitchen for even more flavorful and easy recipes! Is the rIce supposed to be cooked or UNCOOKED? I a having a taco event next Saturday…..game board night with friends………THIS recipe is now going to be the centerpiece of the buffet! 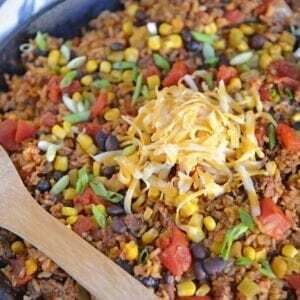 Everything in ONE big pot – FABULOUS…..can be a taco or taco salad…….so simple. Thank you so much! What a hearty dish! A nice switch up for Taco Tuesday! Great for hungry teenagers too! I want to try Cookbook Roulette now! That sounds really exciting!! I like your adaptations on this recipe. I can see why it remains in rotation. 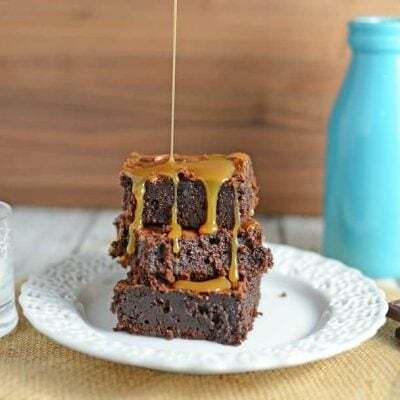 This looks so good and I bet it smells amazing! I am going to have to try this one ASAP! OMG! 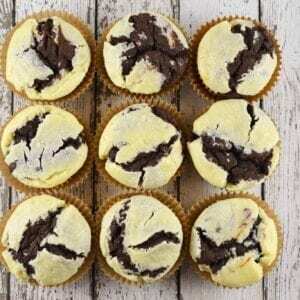 I was mouthwatering the whole time while scrolling down the recipe. 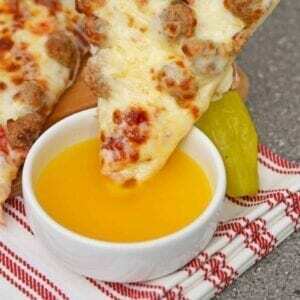 That looks absolutely amazing and delicious. 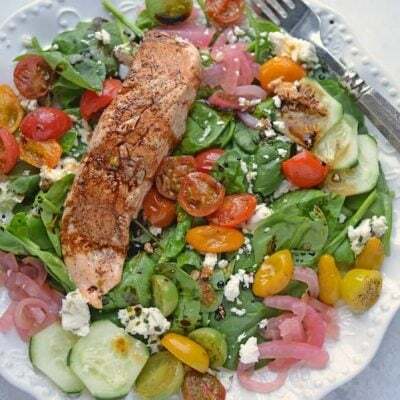 This is pretty much my ideal dinner- it looks so delicious and I love all the colors!